The Parish of the Holy Family Men's Club (POTHFMC) is a social group that is open to all men of the parish. 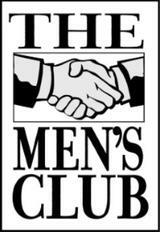 The Men's Club meets on the second Thursday of each month, except July and August. Dinner is served monthly and the menu varies. The cost for dinner is $7.00 and begins at 6:00/6:15PM in Nellis Hall. At 7:00PM a business meeting will take place to be followed by time to socialize. Fundraisers will be held throughout the year. Each member will pay annual dues of $15.00 payable at the November meeting. The POTHFMC will also perform service projects on behalf of the parish. POTHF Men's Club is a social group that will foster an atmosphere of Catholic fellowship and a sense of community among the men of the parish.This will include strenghening Family Life. POTHFMC will serve as a support group ans provide assistance in various parish events. Additionally POTHFMC will provide finacialand various maintenance assistance in conjuction with the facilities committee for the betterment of the buildings and grounds as needed. The above mission statement was Adpoted and Approved by the membership at large on November 10th, 2011. Ever wonder what the GCC Men's Club does?